To Lu Zhen and Gao Zhan, life and death are terms that have no meaning without each other. Neither are in a good place emotionally and have to fight tooth and nail to be together against forces bent on destroying them. The sword slices through Gao Zhan’s hair, and everyone’s faces mirror each other in shock. He says to them, “Due to the old injury from the falling rock, after the Crown Prince Gao Zhan heard about the engagement, he cut his hair and became a monk. Is this an answer enough for you?” They are all shocked into silence. Shen Jia Yan comes to see Lu Zhen who is her mopey self. She says that everything is gone. He corrects her, he is still here. He wants to marry her and take her far away to live a simple, happy life. She doesn’t have to adhere to all the formal rules that comes with marrying a rich family, he will love her, respect her, he won’t push her to bear children. And he’ll never marry anyone else in this life. Lu Zhen still thinks that he is doing this out of guilt, but he corrects her. He tells her that he loves her, but he couldn’t say anything because he and Gao Zhan are closer than brothers. She doesn’t answer and he says that as long as she remembers what he has said to her. He asks that she stop thinking about trying to kill herself. The Emperor and the Eldest Princess are talking. She wonders if she has pushed Gao Zhan too far. (You think?!) she decides to back off. They decide that since it is only an engagement, they will ask Shen family to make an excuse and call off the wedding. The Eldest Princess sighs and says that it is the only way. Gao Zhan is visiting the old places that he and Lu Zhen once lived and he thinks back to the happy times they spent there. 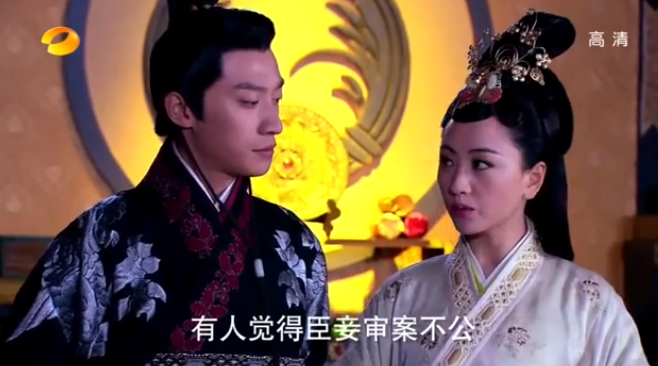 Shen Jia Yan brings Lu Zhen her medicine and she hesitantly asks how “he” is. Shen Jia Yan agrees to go and ask for news. 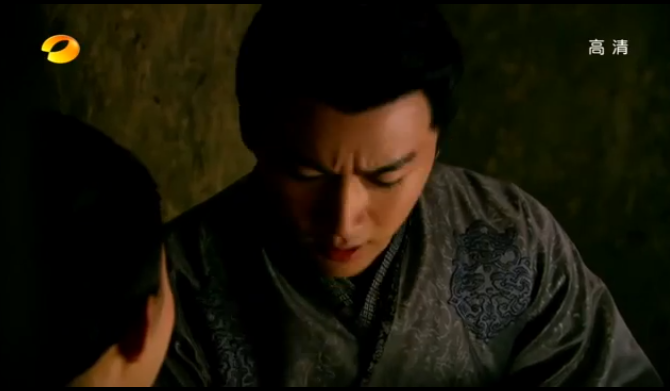 Shen Jia Yan tells Lu Zhen of all the things that has happened, including how Gao Zhan has decided to become a monk. Lu Zhen is frantic as she tries to rush out and find him. Shen Jia Yan says that he believes that Gao Zhan truely loves Lu Zhen. He calls out, “Crown Prince, come in.” Lu Zhen and Gao Zhan embrace and kiss. They sit together, while Shen Jia Yan walks out sadly. Inside, the lovers call each other fools (well, yes.). Gao Zhan promises Lu Zhen that he will only marry her and her alone. She tells him that her hand is useless, and she is crippled he tells her: Remember this, I am the Crown Prince and I will be King, whatever I say is Heaven’s Mandate. If I say you are the only match for me, the will are the only match for me. I am marrying you, not your arm.” He shows her his old injured arm and says that they are perfectly matched. He tells her that they both have a fault, it’s that they both strive for perfection, but they have to accept that there is no such thing as perfection, only each other. They leave Shen Jia Yan’s place. Shen Jia Yan gives Lu Zhen a dagger. 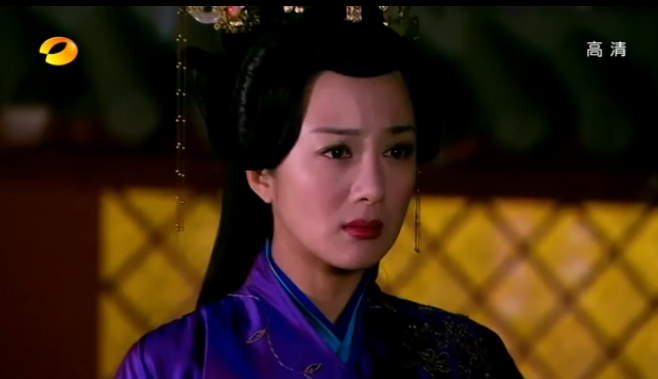 Lu Zhen rides in the carriage and realizes that she and Gao Zhan are no longer going back to the palace. It turns out that he is taking her to their new home, the Crown Prince’s Residence. He shows her around, showing her the Kiln Manufacturing in the back yard. Even if she can’t make pottery because of her hand, Gao Zhan tells Lu Zhen that she will always be able to use his. He tells her that some of the palace isn’t complete yet, because she hasn’t told him what she prefers, since she is the mistress of the residence. 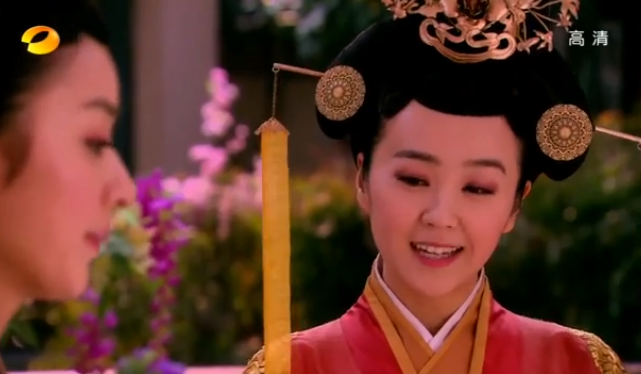 Lu Zhen returns to the palace to see the King. She tells him that she has found the ceramic powder and they can start mass production. She’s found suitable people and everything is ready to go. The emperor says that since this will be a mass undertaking, they need her experience and appoints her to be in charge of the whole project. Lu Zhen reports to Wang Shang Yi, whom she has always been at odds with since Wang Shang Yi is one of the Royal Concubine’s people. But the two have come to a peace of sorts since the Royal Concubine is no longer opposed to Lu Zhen or in love with Gao Zhan. 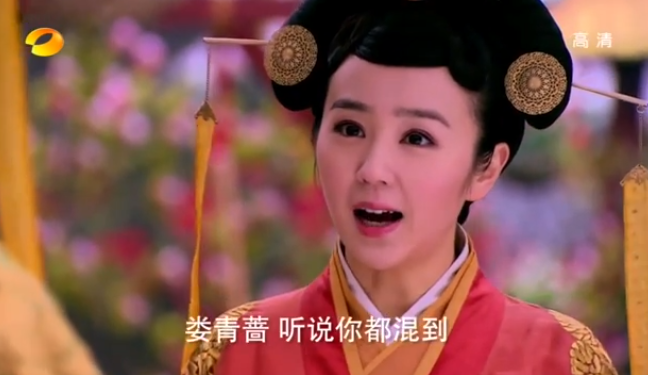 Wang Shang Yi tells her to go inspect the new maids. Lu Zhen goes to see teacher Yang who shows her off to the new maids, it has only been a year since Lu Zhen entered the palace but Lu Zhen is already a 7th Level Lady Official. In private teacher Yang praises Lu Zhen for becoming a capable official. On her way back Lu Zhen meets a girl who speaks with a strange accent, she makes friends with the girl and gives her advice about how to do well in the palace. 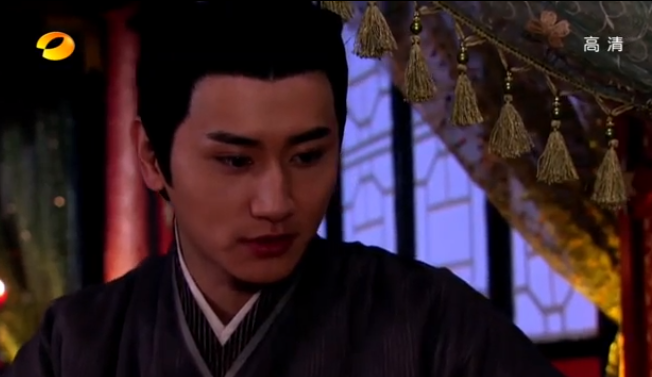 Lu Zhen goes back to her palace and find Shen Jia Min sitting there. 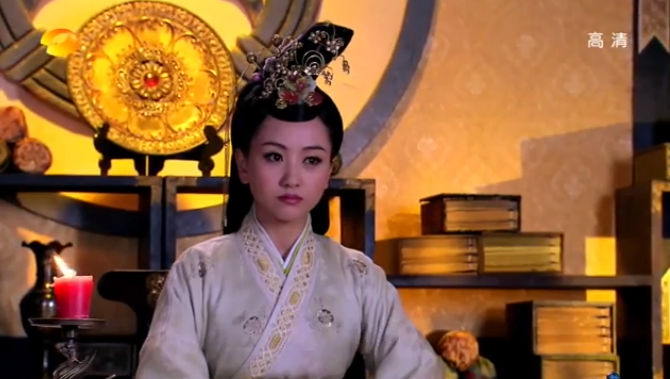 Shen Jia Min has come with the plans of Gao Zhan’s new Crown Prince Residence. She said that she is will to let Lu Zhen become a Side Wife, as long as she is nice to Shen Jia Min as the Main Wife. Shen Jia Min asks which side of the house does Lu Zhen want to live in. Lu Zhen knocks her down a peg or eight by pointing out that the plans are outdated, and that Shen Jia Min hasn’t really seen that house. 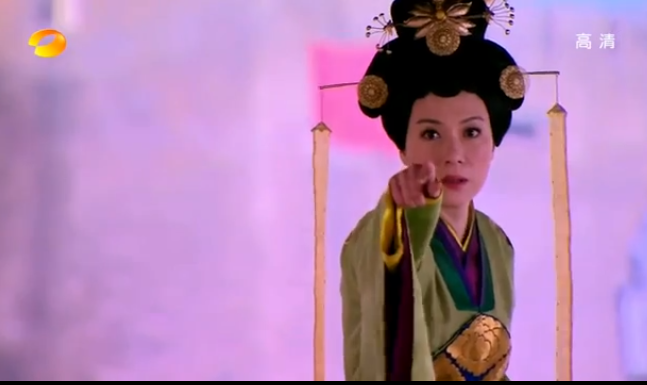 Lu Zhen corrects Shen Jia Min by pointing out where everything is. 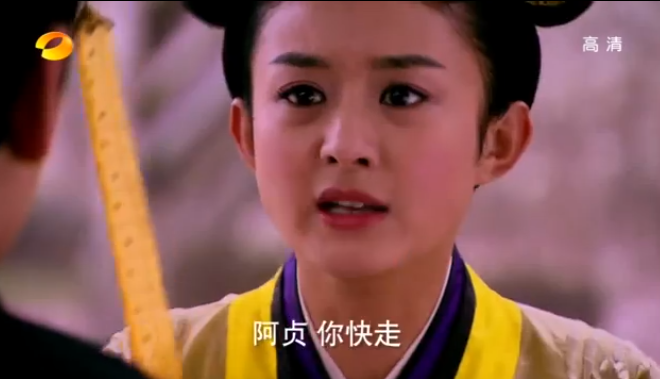 Shen Jia Min is enraged at how well Lu Zhen seems to know everything. 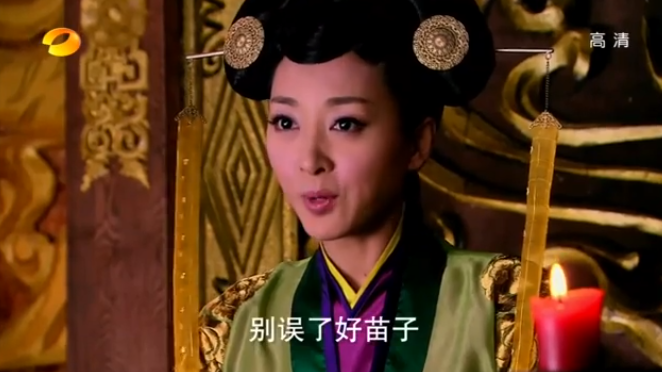 Lu Zhen tells Shen Jia Min that once Shen Jia Min become the Crown Princess, then they will talk. Shen Jia Min storms away. Shen Jia Min runs into Lou Qing Qiang. Shen Jia Min’s best friend was killed by Lou Qing Qiang’s brother, and Shen Jia Min goes out of her way to make Lou Qing Qiang realize that once she is Crown Princess, Lou Qing Qiang’s life will be more and more miserable. 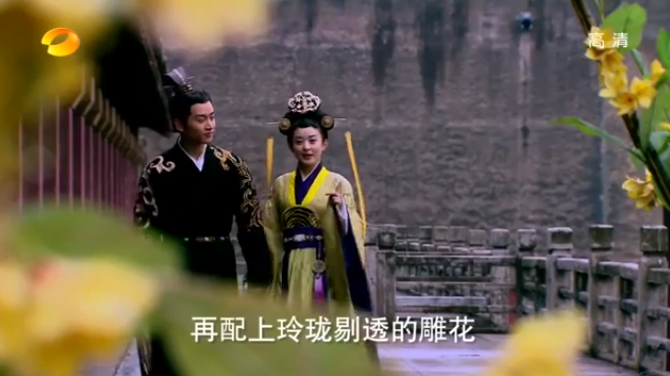 Shen Jia Min leaves the palace happily while Lou Qing Qiang becomes worried. Lu Zhen and her workers start their work on creating a Kiln factory to manufacture the white ceramic. Lu Zhen has complete loyalty of her team because she treats them well and fairly. 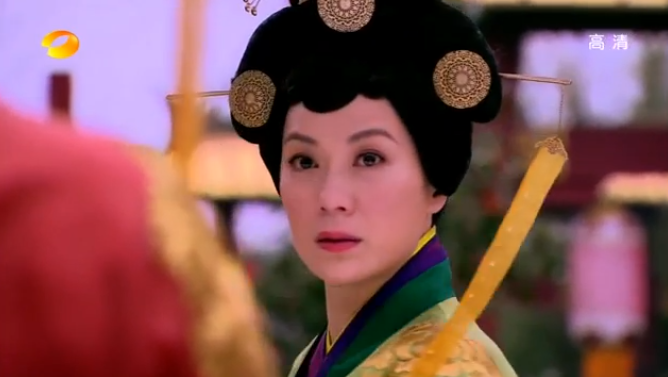 Shen Jia Min is about to return to the palace when Shen Jia Min asks what’s going on. 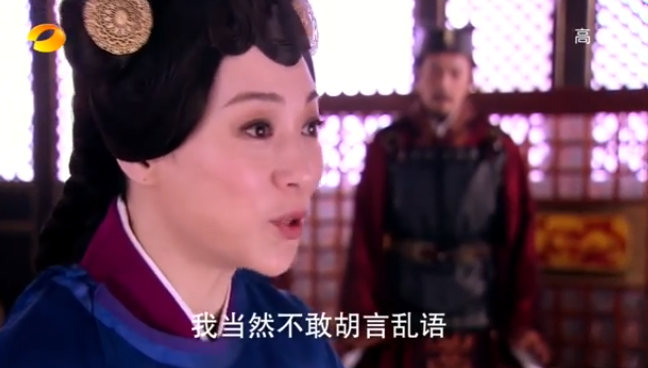 Shen Jia Min tells her brother that Lou Qing Qiang has invited her to talk about palace matters. He asks her to be careful. 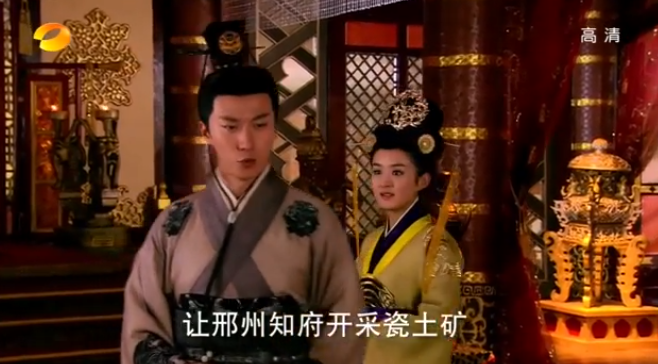 She asks if she can visit Gao Zhan and he says no, they are to be married soon, they have to appear virtuous. (Shen Jia Min doesn’t know that the engagement is about to be broken). He asks her to not make trouble, and she hugs him goodbye telling him that she’ll get him a present when she gets back. 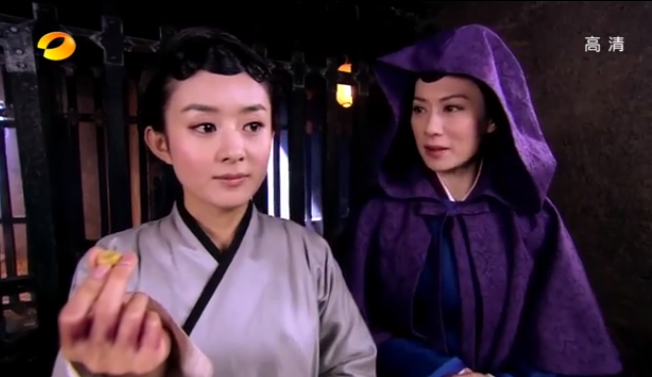 Shen Jia Min meets Lou Qing Qiang on a tower, she dismisses her maid Fang Hua since Luo Qing Qiang asks to meet alone. Shen Jia Min teases and makes Lou Qing Qiang kowtow to her, and Lou Qing Qiang, trying to appease Shen Jia Min, does everything. Luo Qing Qiang is trying to get Shen Jia Min to forgive Luo Qing Qiang’s brother killing Shen Jia Min’s best friend but Shen Jia Min tells her that Lou Qing Qiang is just a dog. In a fit of anger, Luo Qing Qiang pushes Shen Jia Min. Lu Zhen and Gao Zhan are walking nearby and see Shen Jia Min fall. They rush to her. Lou Qing Qiang sees that it’s Lu Zhen, but doesn’t see Gao Zhan. 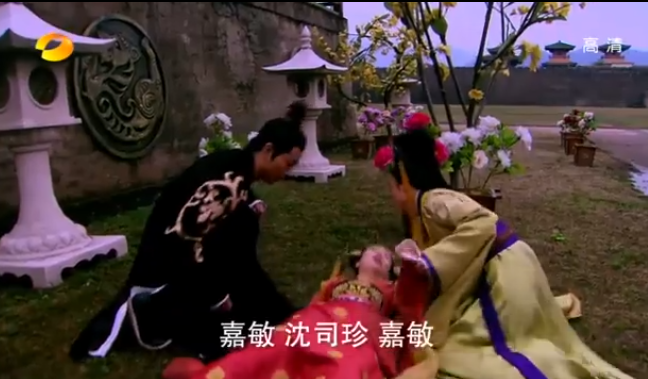 Shen Jia Min dies in Lu Zhen’s arms. Lu Zhen looks up and sees Lou Qing Qiang on the tower. 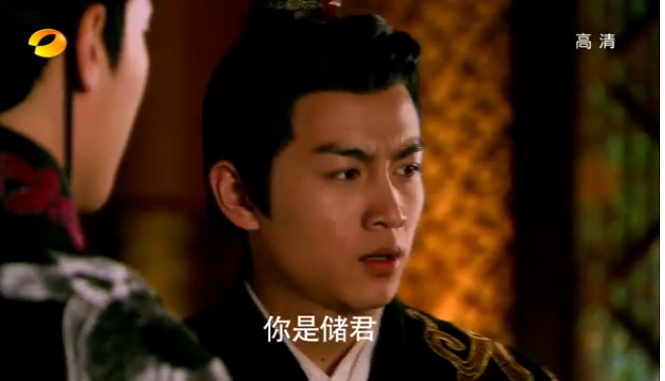 Lou Qing Qiang starts screaming that Lu Zhen has killed Shen Jia Min. Lu Zhen tells Gao Zhan to leave. He can’t be seen with her with Shen Jia Min’s body, everyone will suspect the worse. He needs to leave, now. He is the Crown Prince and he can not even have an ounce of suspicion upon his head. That way he can help rescue her later. He reluctantly leaves. Lu Zhen is arrested. 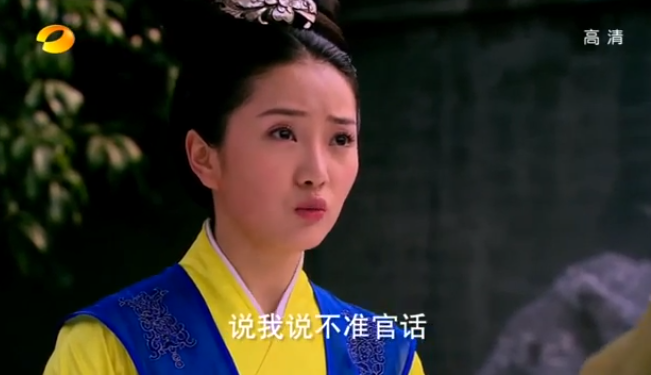 Shen Jia Min’s maid Fang Hua witnesses everything and escapes Luo Qing Qiang and disappears. 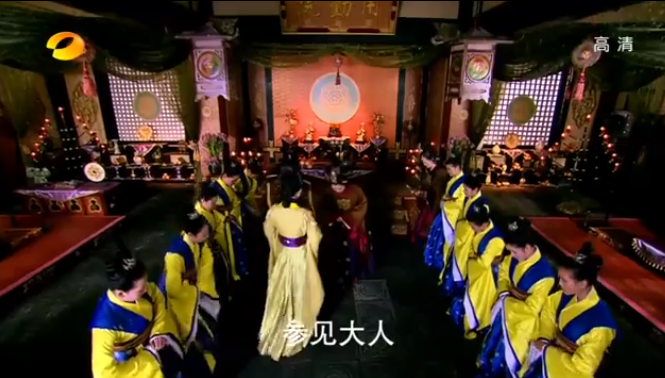 The case is brought in front of the royal concubine. 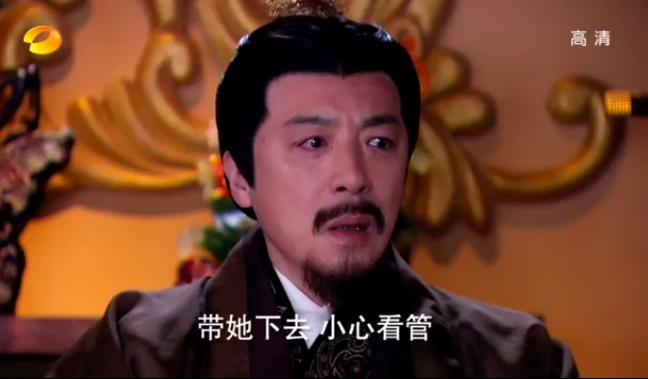 Lou Qing Qiang accuses Lu Zhen of killing Shen Jia Min in jealousy. Since Lu Zhen can’t bring up an allibi and Luo Qing Qiang has Shen Bi come and lie about Lou Qing Qiang’s whereabouts, Lu Zhen’s case looks weak. Gao Zhan is besides himself with worry. 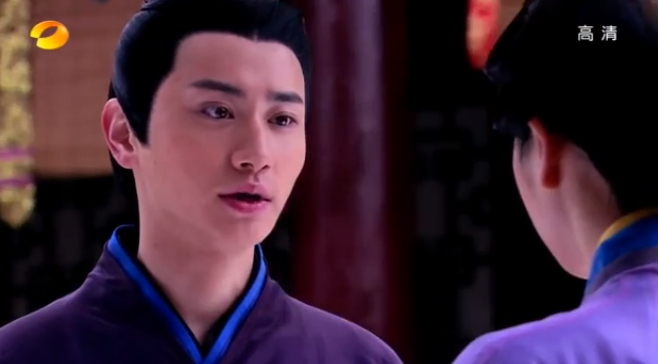 The emperor warns him to not go see Lu Zhen in public, this will only heighten suspicion. 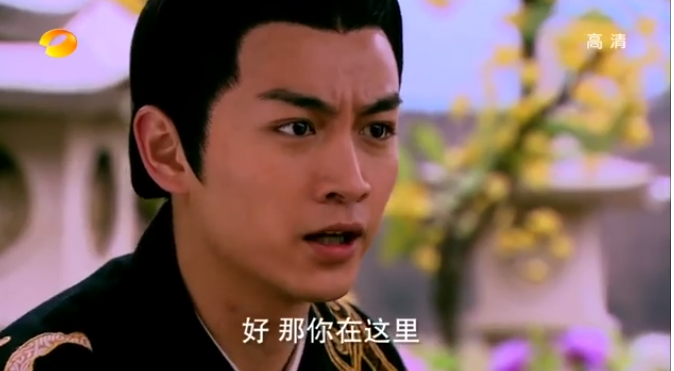 Gao Zhan decides to go and tell Shen family the truth. He tells Shen Jia Yan what happens and tells him that finding Fang Hua, who alone knows what happened is vital right now. They have to find her before Lou Qing Qiang does, or else the truth will never come out. Shen Jia Yan promises to do so. Meanwhile Lou Qing Qiang is also search for the maid Fang Hua, and has offered large amounts of silver to any assasain who can kill her. Fang Hua has escaped the palace and is hiding out in the brothel where Shen Jia Min once tried to trick Lu Zhen in. Gao Zhan goes to visit Lu Zhen in secret. He tells her that they can’t find the maid and Lu Zhen sighs that she must then use her other plan. She tells him to bring her something from her rooms, something that will save her life. Meanwhile Lou Qing Qiang is thinking about what Lu Zhen said and realizes that Lu Zhen must have something that she can use to blackmaid Lou Qing Qiang with. She goes to visit Lu Zhen. 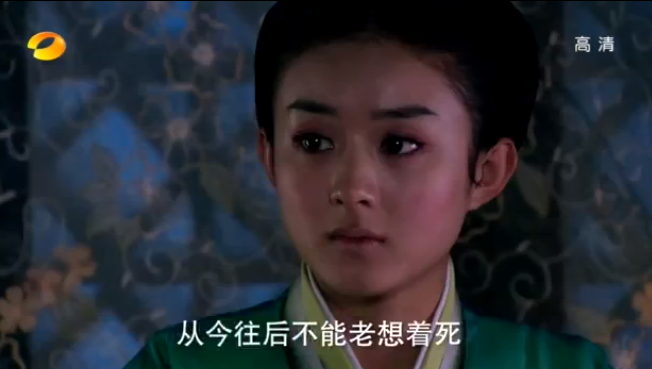 Lu Zhen tells Lou Qing Qiang that if she dies, Lou Qing Qiang will follow her as well. 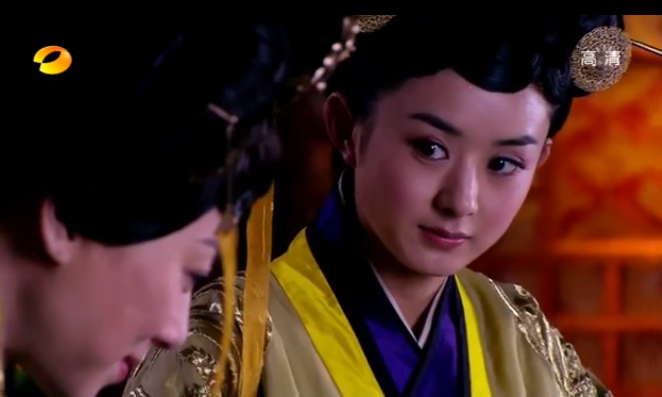 She shows her the pill that Lou Qing Qiang had once given Lu Zhen to try and poison Wang Shang Yi with. Lu Zhen smiles and says that the poison is so unique and can only be traced back to Lou Qing Qiang. If Lu Zhen dies, the it will be revealed that Lou Qing Qiang had tried to assasinate Wang Shang Yi, who is a high ranking official. If Lou Qing Qiang wants to save herself then she needs to withdraw the accusation that Lu Zhen killed Shen Jia Min. Lou Qing Qiang is searching desperately for Fang Hua. If Fang Hua dies before the trial, then Lou Qing Qiang can successfully accuse Lu Zhen. If not, then things get trickier. As it turns out, the assasins find Fang Hua. But Fang Hua escapes back to the Shen household. At the trial Lou Qing Qiang asks Lu Zhen quietly that if Lou Qing Qiang helps clear Lu Zhen’s name, then Lu Zhen and Gao Zhan won’t try for revenge against her for the whole thing. 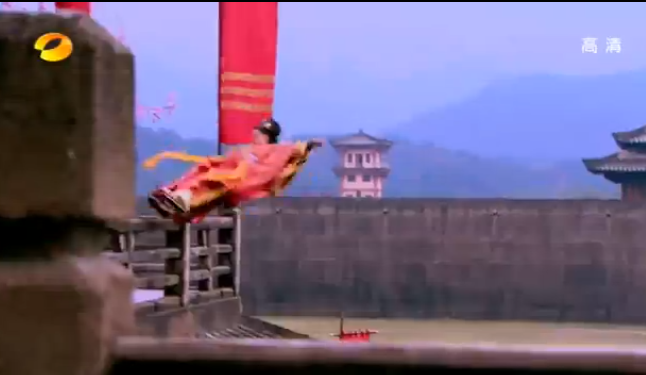 Lu Zhen agrees, and Lou Qing Qiang withdraws her accusations, saying that she didn’t see Lu Zhen push Shen Jia Min off the tower. Lu Zhen may be free of the accusation but she isn’t out of danger yet, Papa Shen still wants an answer about the death of his daughter. Back in the Shen Household, Fang Hua tells Papa Shen and everyone that Lou Qing Qiang is the true murderer. Since the backer of Lou Qing Qiang is the Dowager, and they don’t have enough evidence, Papa Shen can do nothing right now. 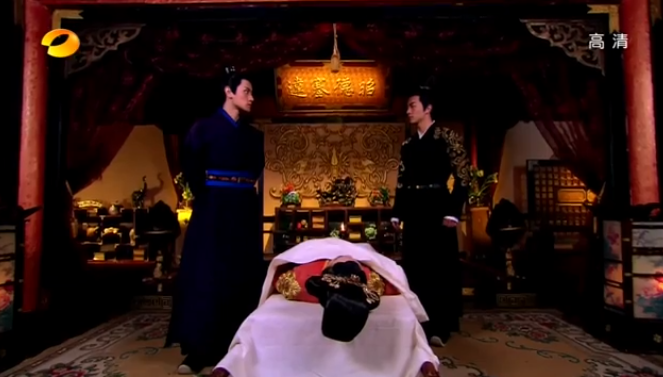 However, Gao Zhan promises the inconsolable Papa Shen that he will avenge Shen Jia Min’s death. 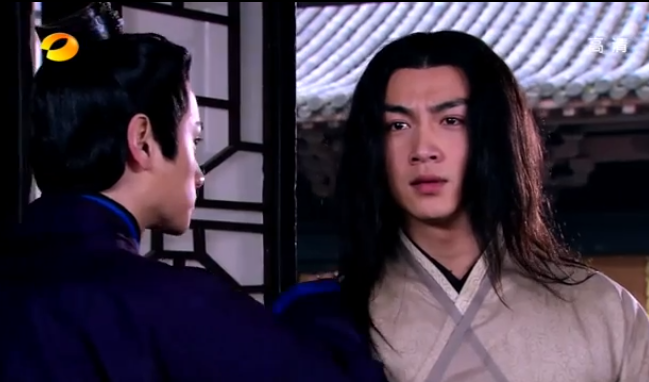 Papa Shen is touched by Gao Zhan’s loyalty. Lu Zhen is released and it’s revealed that Papa Shen had told the emperor that Shen Jia Min has had a fainting illness since she was young, it was an accident that she fell, Lu Zhen is not at fault. Gao Zhan tells her that the Shen family will never forget what Lou Qing Qiang has doen, and Shen Jia Yan has vowed to avenge his sister. Thoughts: These two episodes is where I become hesitant about the lovers. I love me some Gao Zhan but his whole I’m going to cut my hair unless you give me my way kind of thing, it’s so impulsive that I would have like to see less fire and more cool calculation like in the beginning. But then again, I’ve seen each episode about six times (the sad product of trying to recap, forgetting to recap, going back to the episode, recap, take pictures, and then finally writing the recap), so maybe I’m nitpicking. On the bright side, Finally! Shen Jia Min is gone. I have great respect for the actress who had to play such a one dimensional immature villain but the character should have died, in episode 2 of her appearance. Her death was convenient for the progression of the story, and long awaited by the viewer. I still suspect they are only filming Gao Zhan from the front because he has this huge bald spot on the back of his skull… which totally ruined my spazzing about him in those episodes. and then the crazy will happen so it is less and less spazzing to do from now on. LOL. Oh Gao Zhan, I was cray cray about him until I realized that their love was getting a bit out of hand. That doesn’t mean I don’t admire the two, just that I find it a little bit tiring to have to watch them profess that they can’t live without each other every other episode. But then again, I might just be expressing my anger at the slowness of the past 20 episodes. or 30…. can’t decide. Love this drama. It took me three days to read the recap of Female Prime Minister. I absolutely it. I hope you do continue to finish the recap. So I’m gonna go back and comment on the other recaps. I love how Gao Zhan is willing to do everything for Lu Zhen. 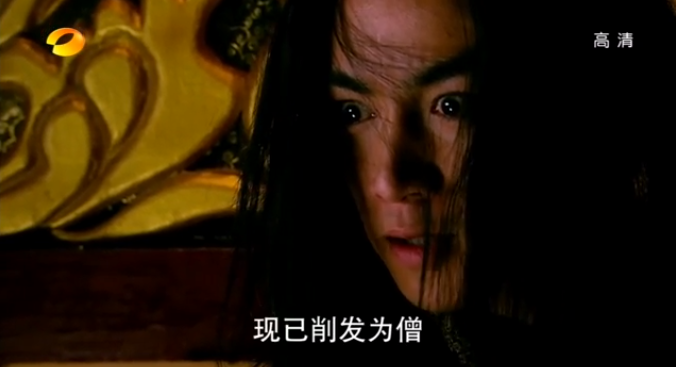 I can feel Gao Zhan pain and understood why he cut his hair. Glad you liked it so much! Yes I am planning to continue recapping! GZ is by far the most passionate character in this drama. Yay! I’m so excited. Yes, Gao Zhan is by far one of the best character in this drama. He definitely every women dream man and every men wish they were him. LOL! Love your photo screen shot. They are so awesome. Very HD. I love this drama. I admire the love of Gao Zhan and Lu Zhen. I have watched this 3 times and love to read your recap. Thanks so much Ad. Viki has it all subbed! Ooohh, I love your recaps of Female Prime Minister and your thoughts about this lovely serie also. Since I don’t understand Mandarins I really appreciate your recaps. I’ve noticed your last post about FPM is from 11-09-2013, about 2 months ago. I really really hope you’ll finish this project succesfully. Please, please, please! 🙂 Greetings from Holland. I second this 🙂 (even the part about not understanding mandarin – thank goodness there is currently a version in cantonese). 🙂 Greetings from Australia. Thank you both for your comments! I wil definitely pick this up, soon. My former editor berated me over christmas. But I promise that I will start this up again very soon! I am from an Asian from Germany, and through my grandfather, I can understand some cantonese. those recaps sounds great, do you happend to know a steady site, where I could download this series in cantonese?? I’m not sure about cantonese… but they have this on Viki, it’s an american site though. However a good site to watch dramas would be maple stage. I will only disagree in one thing about this episode. I understand Gao Zhan’s desperate measures, the Royal Concubine and Gao Zhan’s sister are pushy and manipulative..with these kind of people trying to talk to them is useless, you have to blackmail them back in order to get your way. I know, because I have seen this kind of situation in my husband’s family in which arranged marriages is common. My mother-in-law literally forced (emotional blackmail) one of her sons to get married and everything ended in disaster…. it was so bad that later on this was used against her ( not getting involved or say anything about the second wife).